When the tender romance of jewel-toned dahlias meets modern sensibilities, a work of art emerges! 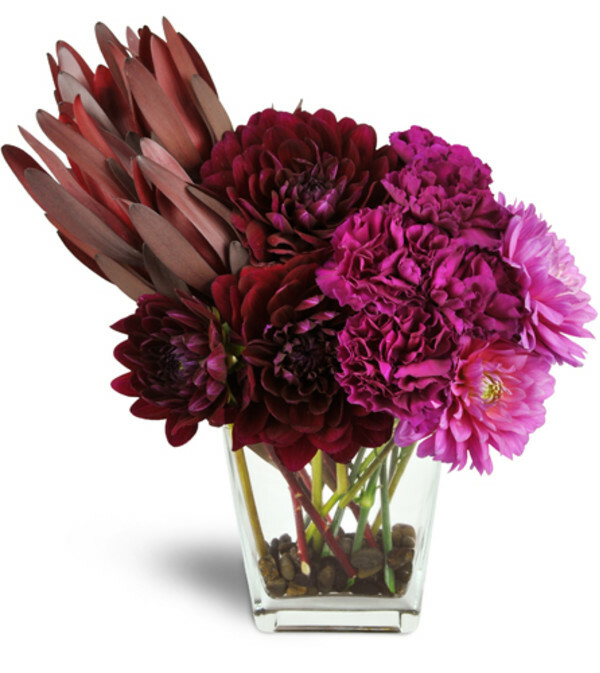 In this incredibly chic, "ombre" style arrangement, deep purple leucadendrons lend interest to mauve and ruby toned dahlias and carnations. 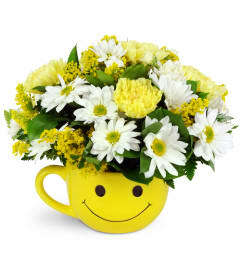 This is such a gorgeous floral gift, and it’s perfect for almost any occasion! 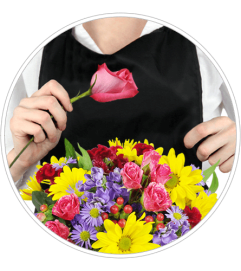 Love and romance are in the air wherever this bouquet graces a table, but it’s great for "thank you" and "Happy Birthday" too! 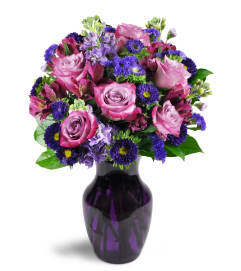 Purple leucadendron, two colors of dahlia blooms, and carnations are arranged in a tapered clear glass vase with river rocks.